Getting an online presence is a necessity in today’s generation. The slow response of Cameroonians had been a call for concern till today where my grand ma can use her smart phone to access the internet. The internet solution is here, but Cameroonians are not able to find most of the information they need in Cameroon on website. For example past GCE question, probatoire questions, businesses in a city, closest restaurants, favorite artist, top models and others. The needs of Cameroon internet users thus form the bases to why we need websites in Cameroon. In this post, I will share with you some reasons why Cameroonians ‘’everyone needs’’ a website. Let us get started with why a website is necessary for every Cameroonians. As our parents had thought us, every man need to have a house of his own, the same way businesses should have their own location Cameroon. When it comes to the online world, just one word is needed ‘’ websites’’. A website is your online location. Both businesses and individuals need a website to show case their talents, offer their services, and sell products, network with other business among others. We all need to achieve what I have mentioned above which is just a reason for you to create a website in Cameroon. 2. Taking your business beyond your locality. We need to reach more clients to increase sales. A website is thus a necessity for you to achieve this. People can have access to your website anywhere in the world. Geo targeting can equally be used to target visitors from specific countries depending on the product you want to sell. Individuals with innovative ideas should start a website or a blog. This is because it a website can become a money making machine to you. Einstein Muki through his website last year was able to make more than $50000 with one channel, all this thanks to his website. I have equally gained a lot of knowledge today because I started a website. I am a full digital marketer because I was able to build communities on my blog from which I get educated by experts I had never thought of meeting. Today I am able to scale up to $1000 thanks to websites. In the nearest future, I will be sharing with you when I hit my target of 1 million dollars. You can join me by starting your own website now. Gone are the days when creating a website was an issue of ‘’VIP’’ with a budget of 50000 FCFA you can start a blog. Staying offline is just your decision because a website is not expensive. You don’t need to be a computer expert to create a website. I have made some tutorials here that can be helpful to you if you want to start your own website. The marketing of today require clients to come to you. Clients can only come to you if they can find your website. You don’t need to print thousands of flyers to share to people on the streets. Using your website brings quality audience which can be converted to client. Without a website, you are not ready for ‘’Inbound Marketing’’ in Cameroon which is a concept that is being used by thousands of businesses to make money. Concepts like email marketing, content marketing and others become difficult to apply if a business has no website. It is time for you to get a website now and experience the marketing of today. Indeed the old days are gone. Welcome to the ‘’Android Generation’’ of Cameroon. If you don’t have a website then it simply means you have not joined this generation. The android generation is made up of people who are very active online. Looking for the best shoes, best musicians, best cloths, trends in fashion among others. If you want to become active and benefit from this new behavior, then as a business you need a website. By providing information to the Cameroonians of the digital generation, they will become part of your business and you will make sales. There is a say that ‘’change is the only permanent thing’’ in someone’s live. Cameroonians are spending too much time today using Whatsapp and Facebook. What exactly are we using these plat forms for? 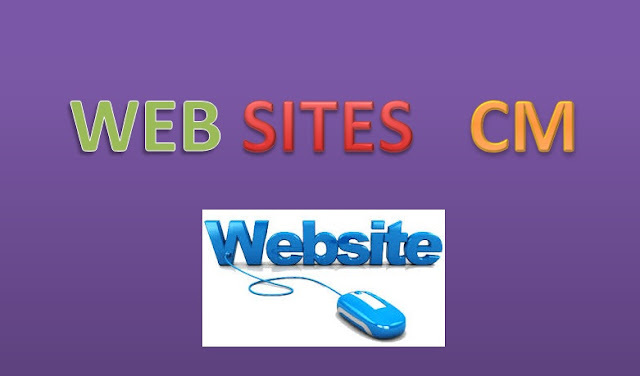 By creating a websit for your business will enable internet users to have another place to spend time. These groups of people will eventually become your website audience and clients. This is just another reason why you need a website. The world is advancing. Today the world talks about Apps and website when it comes to mobile phones and computers. A computer is a necessity today. If you have one as a business or an entrepreneur, then creating a website should be the next thing you should do. Think of it how Jumia has penetrated the online community of Cameroon. While Cameroonians wasting time, smart individuals will come in make use of the opportunities Cameroonians have neglected. Think innovatively, write down the idea and start you own website today. You might just be the next after Ransbiz, Einstein Muki, Facebook, Google etc. Again, there is no time to waste. The future generation is the smart generation. One of the ways to get started is by making use of websites. The smart generation will like to access responsive websites using their smart phones. After accessing the websites, they will discover the smart idea you have making them smart. I hope my message has gone through. By creating an online presence now means you are equipping yourself to make more money from the generation that is ahead. I am talking of the generation that will not like to go to shops to buy, the generation that will want food delivered to them in their homes, the generation that will like to study in their houses, the generation that will not like to use text books again, and lastly the generation where everything will be smart. If you don’t have a website then you will be lost in the smart generation of Cameroon. Start you website today. 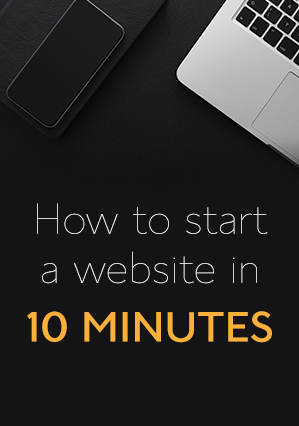 After going through this you might be thinking how to get started with you own website. Read the following post that will help you to create a website by yourself.